Being locked out is an awkward moment. If you have no alternative, there is no help, no spare keys or any way of overcoming the obvious hurdle, then you can feel helpless given the scenario. Getting locked out of your house, car or office is equally harrowing and you need an immediate solution. The only practical solution to the problem is to hire a commercial lockout locksmith West Palm Beach. 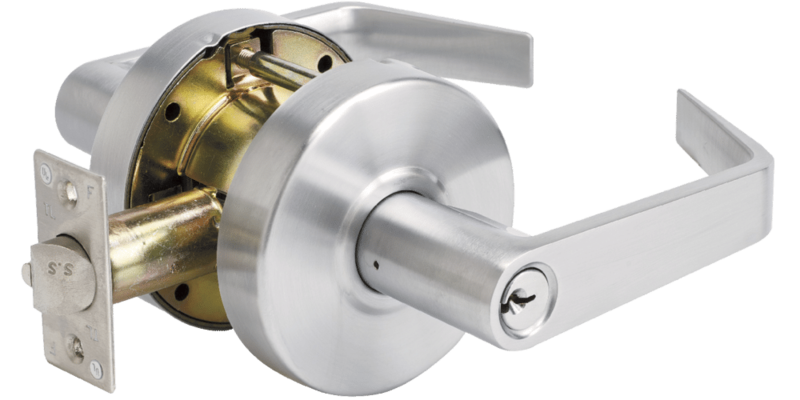 As a commercial lockout locksmith West Palm Beach, we are experienced in handling all kinds of locks. They could be simple old school locks or a combination of analog and digital locks. The locks could be high-end bio-metric systems or they could be industrial grade locks. Depending on the type of lock you have, we would come up with an appropriate remedy. We offer emergency services using which you can immediately unlock office door and get access to your workplace. Our locksmiths are available 24/7 and we don’t have a policy of overcharging you should you call us late at night or on weekends. We have the quickest turnaround time compared to every commercial lockout locksmith West Palm Beach. Our locksmiths will learn about the locks on the phone and shall head to your address, completely prepared and with all the resources to get the job done. We don’t need to break-in making a fuss, we don’t need to make to and fro trips between your workplace and ours and we don’t make you wait indefinitely before we unlock your office door. We are an affordable, trusted and much preferred commercial lockout locksmith in West Palm Beach. If you are ever locked out of office, give us a call and our emergency response team will be at your address. Should you want to schedule it, we can do that as well.